Jake Patterson bound over for trial. 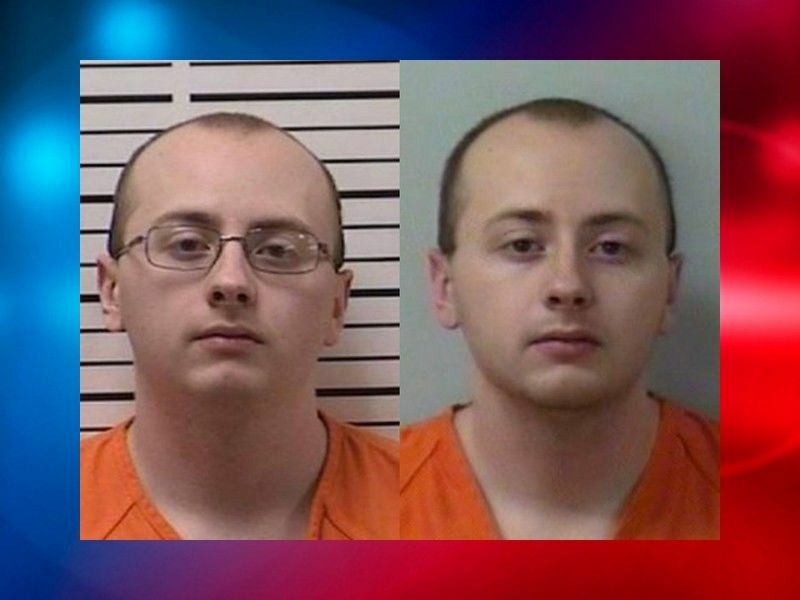 BARRON COUNTY -- Jake Patterson, the man who is accused of shooting and killing the parents of Jayme Closs before kidnapping Jayme in October 2018 appeared in person in Barron County Circuit Court today, February 6, 2019, for a preliminary examination hearing. The purpose of a preliminary examination hearing is for the Court to hear testimony and evidence regarding the case and determine if there is enough probable cause for the case to proceed to trial. Online circuit court records show that Patterson chose to waive the preliminary hearing and the Court bound the case over for trial. Patterson is charged with two counts of Class A Felony 1st Degree Intentional Homicide, Class C Felony Kidnapping, and Class E Felony Armed Burglary. Patterson previously appeared via video for his initial appearance in January 2019. The criminal complaint filed against Patterson states that he broke into the Closs residence; shot and killed James and Denise Closs before kidnapping Jayme and then holding her hostage for nearly 90 days in a residence near Gordon, WI. According to the criminal complaint, Patterson told investigators that he put Gorilla brand tape over Jayme’s mouth, wrapping it entirely around her head and also bound her wrists and ankles with tape before shooting Denise in front of Jayme and then dragging Jayme to his vehicle outside. He then placed Jayme in the trunk and drove to the residence near Gordon. Patterson held Jayme in a bedroom of that residence, making her hide under a bed whenever other people would come to the residence and threatening her with punishment if she were to try to get out from under the bed. Patterson said that he used totes and weights to hold the totes in place, blocking Jayme under the bed. Jayme told investigators that she was fearful of Patterson and that he would leave her under the bed for hours at a time. The criminal complaint goes on to say that Patterson also told investigators that for about two weeks after the shooting and kidnapping, he kept the shotgun he had used at the Closs residence loaded and placed near the entrance of his residence in case law enforcement came to the residence. Patterson also said that he did not know Jayme or her parents and that he chose her after seeing her exiting a school bus, according to the criminal complaint. Jayme escaped on January 10, 2019, while Patterson was out of the residence and made contact with neighbors who called law enforcement. Patterson was arrested shortly after when he returned to the area in his vehicle. The Douglas County District Attorney’s Office recently issued a release stating that no criminal charges against Patterson are anticipated to be filed in Douglas County in the immediate future, however, the District Attorney’s Office retains the ability to file charges against Patterson pertaining to this matter at any point within the statute of limitations. Patterson is scheduled to appear again in March 2019 for an arraignment hearing.